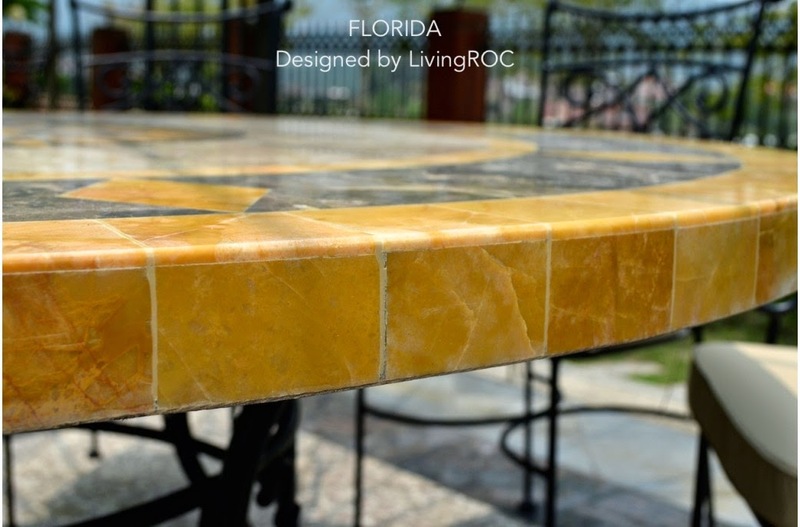 LivingRoc USA-The Blog: "SUN"sational Outdoor patio table. 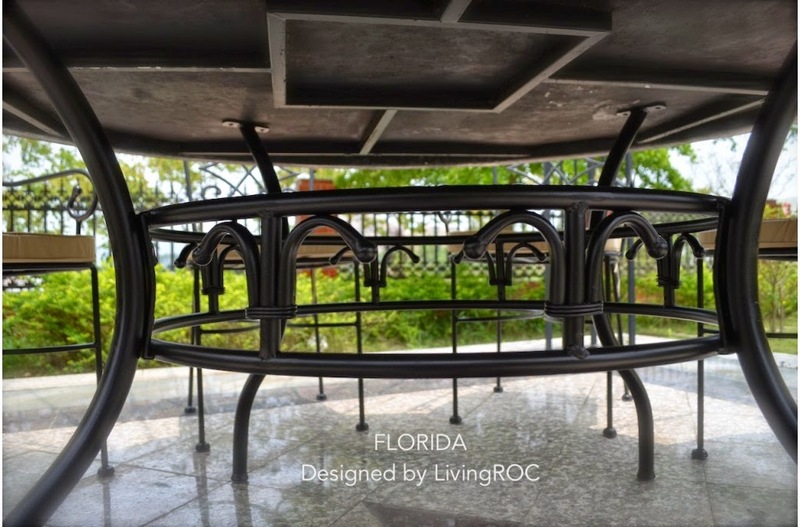 We welcome to our Livingroc.net family the FLORIDA outdoor patio table. Certainly one of the most beautiful tables in our Patio Outdoor Dining table range! 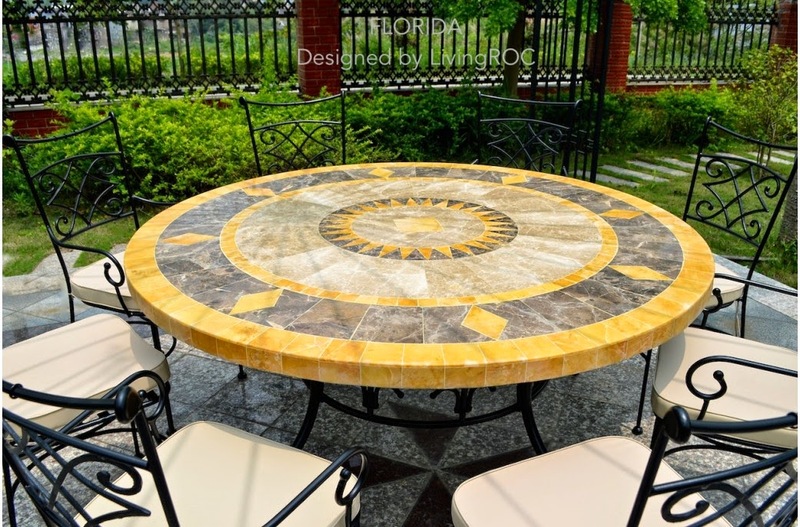 Our round marble table top FLORIDA available in 49" and 63" will impress you with its pattern of genuine natural stone cut with passion and its unique atmosphere of color contrast! It will delight lovers of beautiful work, looking for rare, unique products. 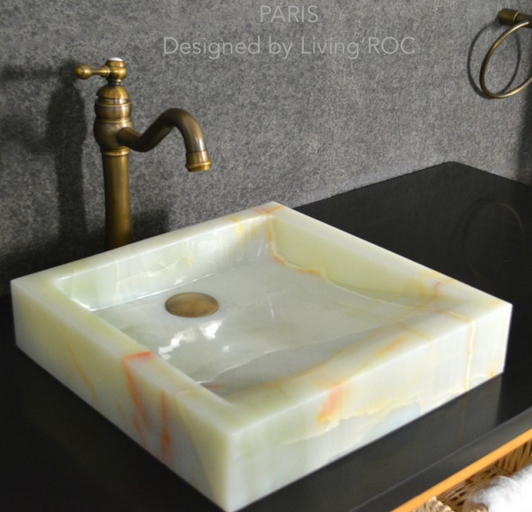 The Outdoor range is handcrafted, suitable for all the lovers of fine materials, in search of an extraordinary finish. You will not find our products in traditional shops! We have not forgotten the comfort of your ears and maintenance of your decks and other spaces by incorporating plastic "anti noise - protector" skids on all table legs. This almost invisible detail will convince the most demanding buyer, looking for an easy-maintenance and easy to live with! The various treatments applied on the plate as well on the base and chairs give our products exceptional resistance to rust on the wrought iron parts and to stop sun and rain damage for the natural stone plate. 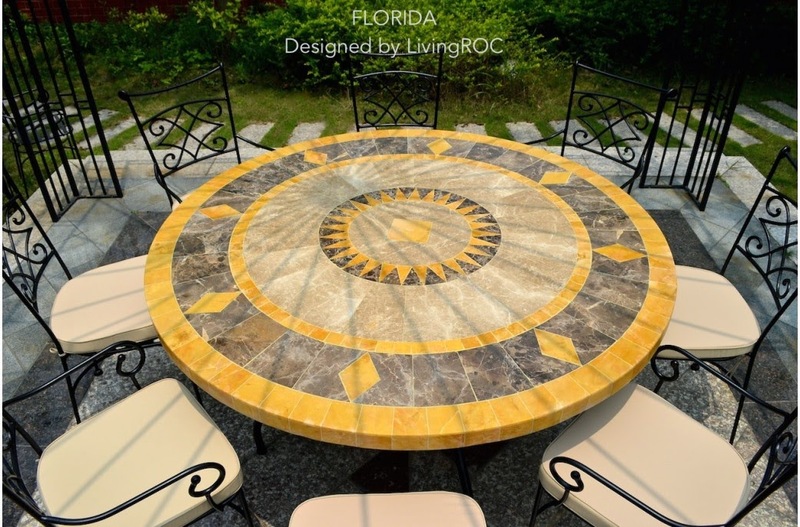 This natural stone table draws its energy essences of the famous sunny Florida by displaying refined lines and streamlined design suitable for indoor and outdoor! Let yourself be carried by the meeting of two noble materials such as Egyptian and Spanish marbles. (Sold without chairs). To complete your project with buying this natural stone table you can add our wrought iron chair DIAMOND, model perfectly suited to the mood and overall finish, of the table and the base .Click here to see more.